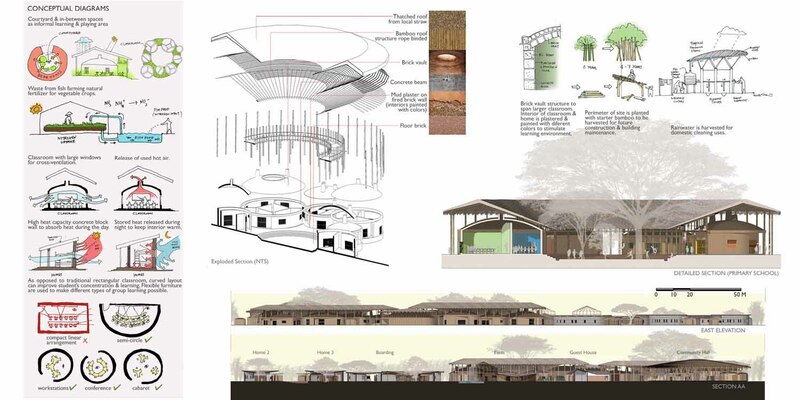 The aim of the project is to create a conducive place to learn, play and live for the Kenyan orphans. 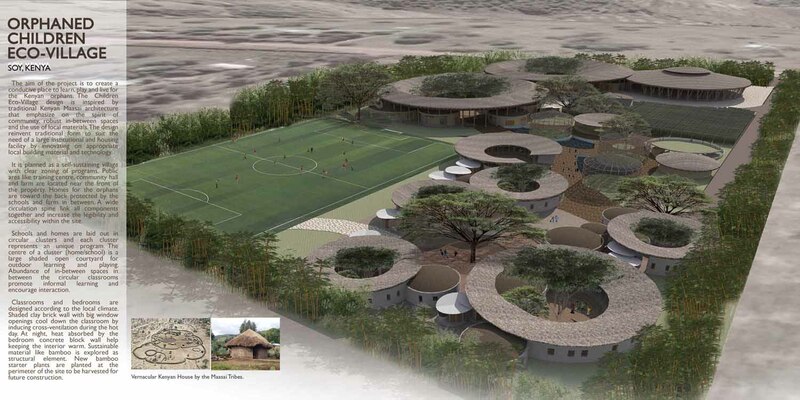 The Children Eco-Village design is inspired by traditional Kenyan Maasai architecture that emphasize on the spirit of community, robust in-between spaces and the use of local materials. We took reference from the native architecture and local materials and created a setting where the children could find a sense of belonging and happiness. The design reinvents traditional form to suit the need of a large institutional and housing facilities by innovating on appropriate local building material and technology. 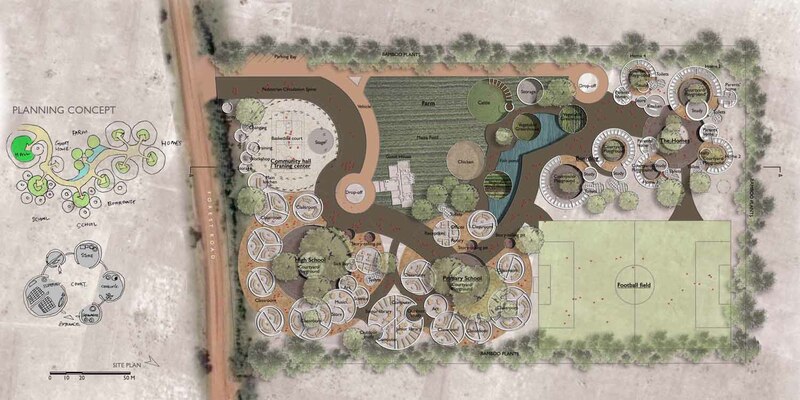 It is planned as a self-sustaining village with clear zoning of programs. Public area like training center, community hall and farm are located near the front of the property. Homes for the orphans are toward the back protected by the schools and farm in between. A wide circulation spine links all components together and increase the legibility and accessibility within the site. The village, will provide homes for 100 orphaned children and education facilities for more than 500 children. It will serve as a sister campus to the existing One Heart Village located nearby in Turbo, which has care facilities for 75 children and education facilities for 200 children. Schools and homes are laid out in circular clusters and each cluster represents a unique program. 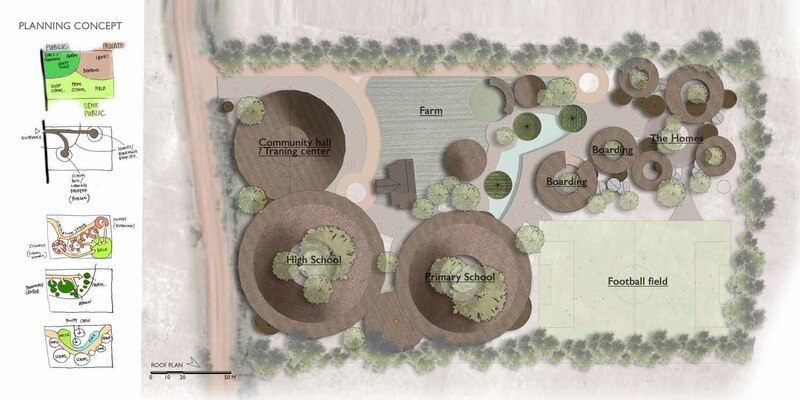 The center of a cluster (home/school) is a large shaded open courtyard for outdoor learning and playing. 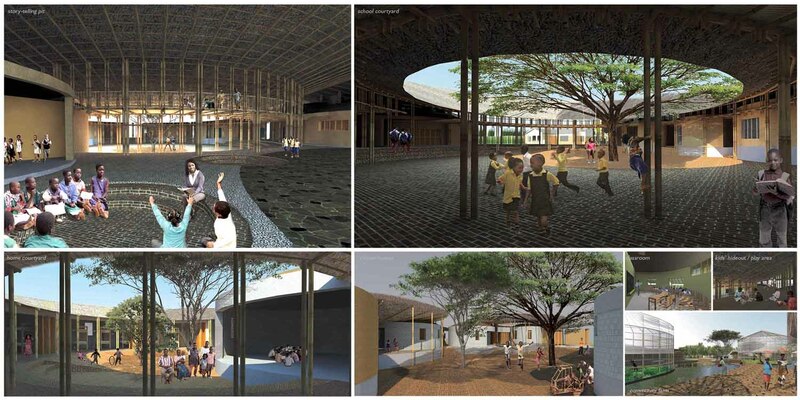 Abundance of in-between spaces between the circular classrooms promote informal learning and encourage interaction. Classrooms and bedrooms are designed according to the local climate. Shaded clay brick wall with big window openings cool down the classroom by inducing cross-ventilation during the hot day. At night, heat absorbed by the bedroom concrete block wall help keeping the interior warm. Sustainable material like bamboo is explored as structural element. New bamboo starter plants are planted at the perimeter of the site to be harvested for future construction. 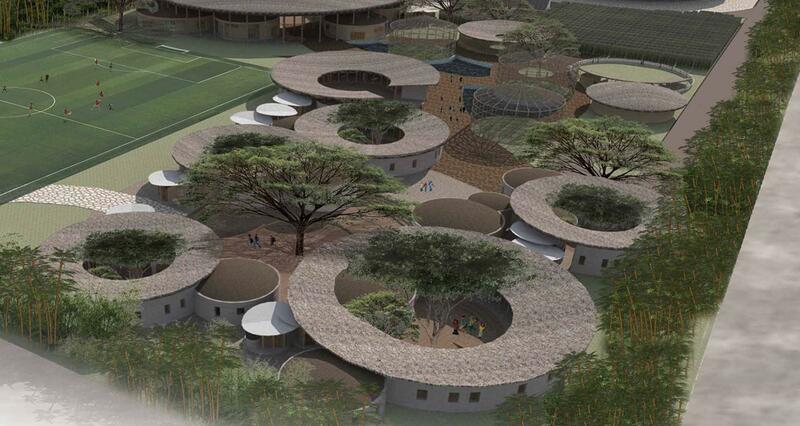 The inspiration behind the design was to create a place where the children who will live there could feel at home.